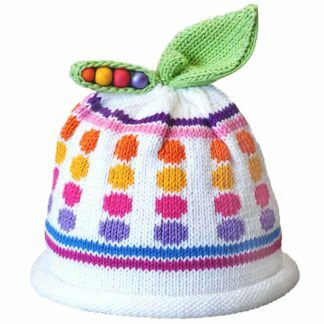 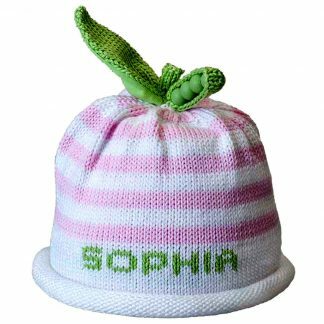 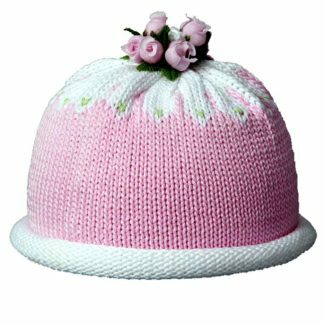 This whimsical Sweet Pea hat features rows of dots in lavender, hot pink, yellow and orange on a white hat. The rows of dots are borders at the top and bottom with two horizontal stripes in complimenting colors. 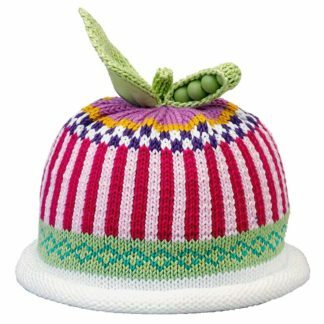 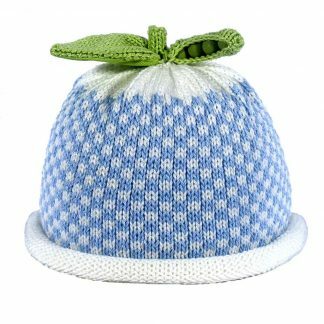 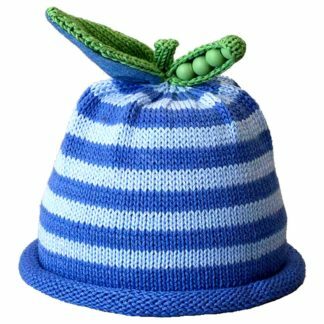 There is a Sweet Pea decoration on the top of the hat that’s pod, leaf and peas are green.